All our Hick Life® decals & stickers are Made With Pride. We hand pick all our decals with tons of detail unlike most companies whom cut corners by cutting out the detail. We pick these right here in the good ol'e U.S.A at our warehouse right here in the Nations Oldest City, Saint Augustine, Fl. All our stickers are made in the USA as well. All our 15" Wide Hick Life® decals is always Made With Pride. We hand pick all our decals w.. Awesome Iron Cross Hick Life® Sticker for your vehicle window, tool box, ammo box, or hard hat. 4.. Awesome Pink Hick Life Iron Cross Hick Life® Sticker for your vehicle window, tool box, am..
Show the world your Hick Life Strong with our New Official Hick Life Confederate Decal. 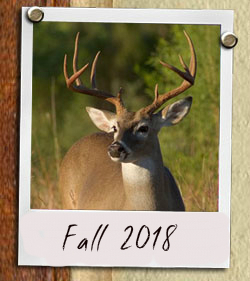 As alw..
Country Livin Decal 12" x 9"
Show the world your true love of the outdoors with this official Hick Life® 12" x 9" Outdo..
Show the world your Hick Life Strong with our New Official Hick Life Deer Skull Decal. As always ..
Show the world your Hick Life Strong with our only Official Double Pump Shot Gun Hick Life Deca..
Show the world that your Hick Life® Beautiful with this new 8.5" Tall x 6" wide outdoor vinyl decal ..
Show the world your how beautiful your are, with your very own Hick Life Beautiful winsheild decal. ..
Show em what time it is with this new Hick Life® Buck Xing 10" x 3" bumper sticker! Outdo..
Large Die-Cut So once you peel off the white square backing and apply it the same shape as a ma..
Our official scribbley font lettering. Approx 4"x15.5" Just peel off the paper backing and ..
Show the world you like to get dirty with this awesome, 3" x 10" Mud Splatter Large Vinyl Bumper .. Living that Hick Life® Loud & Proud! 6" x 4" Oval Outdoor Vinyl Deer Skull Sticker! Sharing .. Living that Hick Life® Loud & Proud! 6" x 4" Oval Outdoor Vinyl Double Shot Gun Sticker! Sha..
Made in the Usa of Course! Show the world what you stand for with this Bold 4.57" wide by 4" tall..
Keep that flag flying with our Hick Life® Loud n Proud 3.75H x 5.65L Die-Cut Rebel / Confederat..
Heritage Not Hate Rebel Flag Bumper Sticker often inaccurately refered to as a Confederate Flag..
Show your pride with this Awesome "The Few, The Proud, The Country, Hick Life Die Cut Sticker ..
Tag, your it! A great to share with your friends, and spread the word about the one and only H..